By United States. Congress. House. 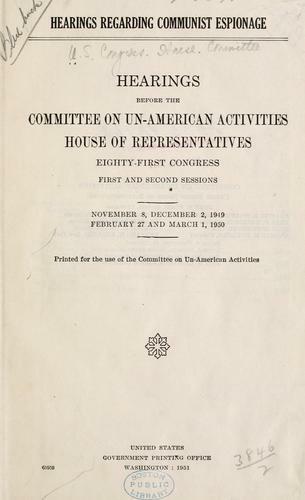 Committee on Un-American Activities. Are you sure you want to remove Hearings regarding Communist Espionage from your list? 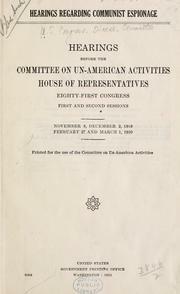 Hearings regarding Communist Espionage: hearings before the Committee on Un-American Activities, House of Representatives, Eighty-first Congress, first and second sessions. 1951, U.S. Govt. Print. Off.